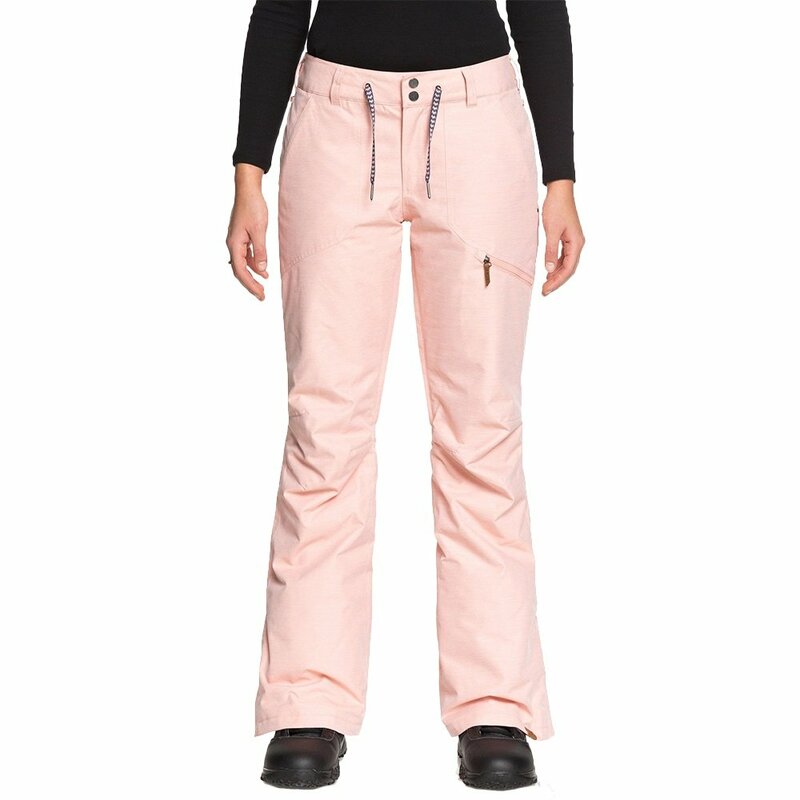 The Roxy Nadia Insulated Snowboard Pant offers awesome protection and coverage, even when winter weather is at its worst. These women's snowboard pants have a 10K DryFlight® waterproofing rating, designed to be worn on unpredictable weather days where storms are rolling in and out from your first to last lap. These pants have a tailored cut, fitting tighter through the hips and thighs with a wider cut around the ankles. The Roxy Nadia Insulated Snowboard Pant has a mid-level warmth rating and inner leg vents, so you can easily find the perfect temperature as you're flying down the hill. The 40g of WarmFlight® insulation provides the correct level of warmth for most snowboarding days. The hem lift-up system helps protect your pants from getting torn or ripped. These are made from partially recycled materials to be more earth-friendly than other pants.